Kindergarten readiness is something all parents of preschoolers should be thinking about during these formative years. While no two children are the same, there are some skills that your child’s kindergarten teacher will expect him or her to have on the first day of school. Not only do they free up the teacher’s time so he or she can teach, but they will also make the transition easier for your child. Luckily, many kids have already mastered these skills by the age of five, but if yours hasn’t, there is still time for them to practice. Writing: Your child should be able to hold a pencil correctly and trace lines, as well as trace his or her name. You may even practice writing the first name without help. Use colored pencils to help keep your child interested. Cutting: He or she should have the ability to grasp a pair of safety scissors and cut along lines, as well as cut out shapes like squares, triangles, and circles. Practice by cutting pictures out of magazines and newspapers. Stacking: Have your child practice stacking 10 1-inch blocks on top of each other until he or she can do so without knocking it over. Molding: Play dough is a child favorite, and a great way to practice molding skills. Have your child roll the dough into a the shape of a ball, a snake, and a pancake. 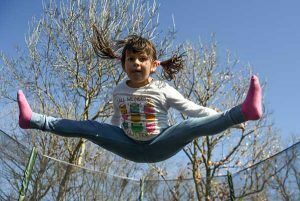 Jumping: Your child should have the ability to jump in place at least seven times, landing on both feet. Practice with games like hopscotch and jump rope. Throwing and Catching: He or she should have the ability to throw a ball at least 5 feet in a specific direction, as well as catch it from the same distance, using either his or her hands or arms and body. Balancing: Balancing on each foot for at least 5 seconds is an important skill. Practice by making a game out of it. Climbing: Climbing is essential for going up and down stairs and playground ladders. Self-Control: Self-control skills involve following directions, sticking to routines, participating in activities without becoming too hyper, and the ability to transition from one activity to the next without disruption. Proper Interaction with Others: Your child should be able to interact appropriately with the teacher and other students, share, take turns, participate in group activities, and help with clean-up efforts. Conflict Resolution Skills: When your child is involved in a conflict, he or she needs to have the ability to use words to resolve it or know to seek a trusted adult for help when necessary. Speaking Skills: Speaking skills include talking clearly enough to be understood and the ability to relay experiences to another person. Listening Skills: Listening skills for kindergarten readiness include paying attention to conversations, as well as following one and two-step directions. 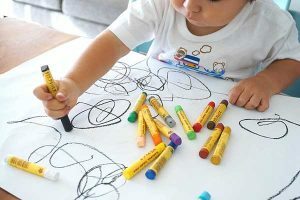 Many of these skills are learned through everyday activities at home, but for some children, a kindergarten readiness program may be in order. This is especially true when it comes to social skills. 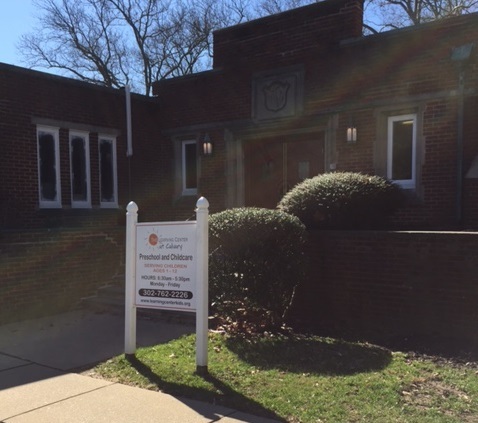 For example, enrolling your preschooler in a Wilmington child care program can help them develop better socially. You can also practice role playing situations that may arise in school. Arts and crafts times can help with fine motor skills, while outside play is great for gross motor skills. Once your child has mastered these skills, he or she has the perfect foundation for moving on to more advanced activities, such as reading, writing, and working with numbers. Just remember, a hands-on approach always works better than memorization and lecturing when it comes to kindergarten readiness activities. I’ve been debating if I should have my kid do kindergarten. I didn’t realize that there were so many benefits! It makes sense that it would help them get used to writing and drawing, since they would get used to using crayons. That’s definitely a worthwhile benefit!